Can we take a moment to talk about how it's September already?! I spent the last few days getting ready for fall and am excited to transition my wardrobe to muted tones + rich colours, but still holding on to the warmth for as long as I can! Speaking of seasons changing, it's time to put those epic dewy foundations away and embrace a nice contoured matte face. Benefit Cosmetics recently came out with makeup that exactly helps with this while reducing the look of pores/skin sensitivity. How amazing is that? I love it when brands continue working on a collection over the years. It brings a sense of familiarity and if you liked what they put out before, you are likely to try the new products too! Lets begin with a coupe of staples that you might already know and use. 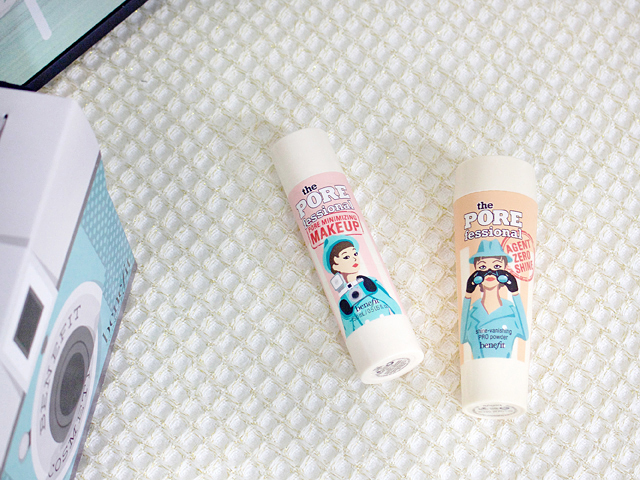 The POREfessional Pro Balm: In other words... a primer. Always starting with the centre of my face and working my way outwards, this primer sticks to moisturizer well without feeling thick or greasy. Once foundation is applied, everything works seamlessly together to stay intact ALL day. I've always found this primer to be more on the matte side, but if you do like your skin to be more glowy or dewy, you can always use a more velvet foundation or pack on the highlight! 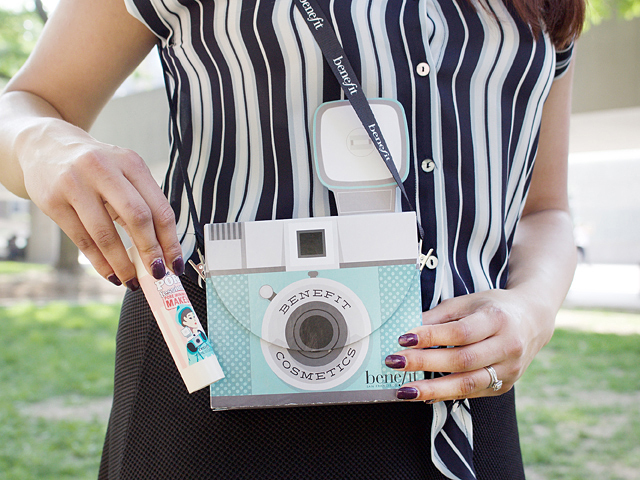 The POREfessional Matte Rescue Gel: This is something I have recently started using. 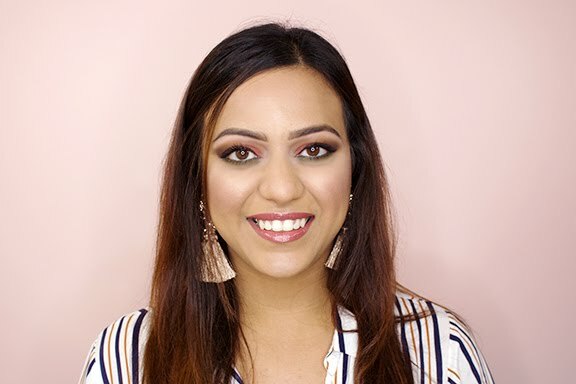 While I always thought the primer brought a matte texture to my face, this gel definitely enhances that and is great to take away unwanted oil or shine. I prefer to use it mid-day or when I feel like my face is looking too oily, and it instantly absorbs it. On weekends when I don't have anything planned except a long dog walk or shopping, I apply a thin layer of this gel and my skin looks great without makeup. *NEW* The POREfessional Pore Minimizing Makeup: Coming in five shades, this is a lightweight foundation that is buildable with a goal to blur pores and have a flawless face. This has been a lifesaver for me this summer! While I generally have normal to dry skin, it has a mind of it's own during the warmer months and using this foundation helped it stay one type of way no matter what. I actually don't like the applicator or the fact that you have to shake it for the product to come out; it always spills or leaves drops of makeup on my desk (or clothes!). I'm hoping that will change as they develop this line further, but the product inside keeps me from getting rid of it. The POREfessional Agent Zero Shine: Of course when you've got your primer, enhancer and foundation, you absolutely need powder to set it all in place! Even if you don't use all four products together, this powder alone will help remove unwanted shine. The only downfall is that I wish it came in more colours for me to explore; I find that it washes my skin-tone out and doesn't blend as smoothly as I'd like it to. 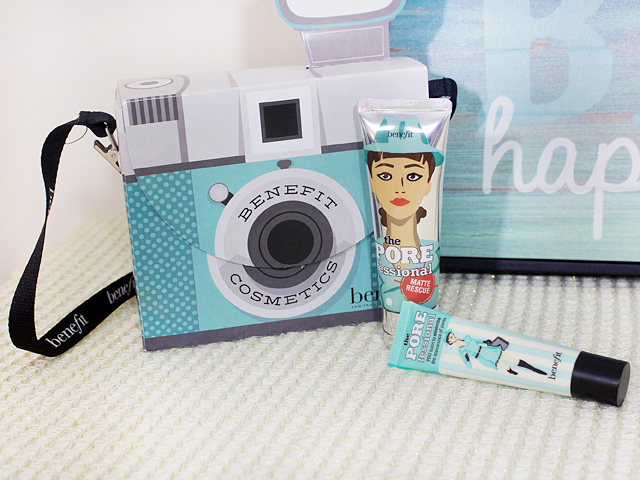 Will you be giving the POREfessional line a try? Let's chat on Instagram or Twitter!